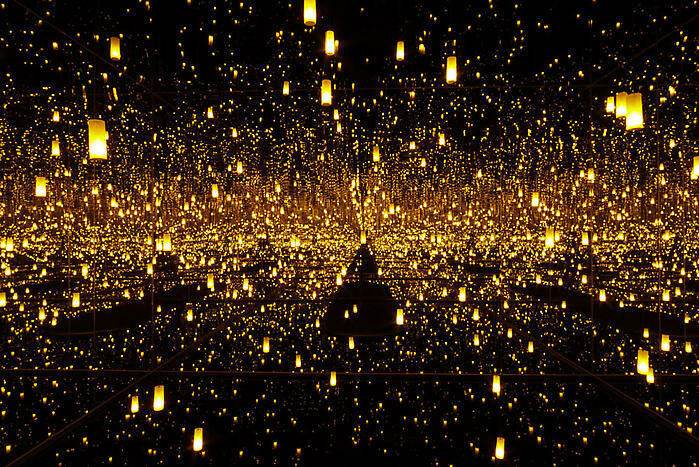 To call Yayoi Kusama outlandish would be unfair… She’s more than that! Famous for her polka dot art and installations, she provides colour and light to what can be quite a dark a dreary world. This particular piece is extremely simple with use of mirrors and lanterns, but is still so effective. The music to match this would have to be by Cut Copy. They’re a fantastic electronic group from Australia, whose latest album ‘Zonoscope’ has just been released. I was a big fan of their previous album ‘In Ghost Colours’, and the song I’ve selected is a remix by Moulinex of an album track.